By car: From the north: A12 Genova-Livorno motorway, Rosignano exit. Continue on the Livorno-Grosseto highway to Venturina. Enter the S.S. 398 and follow the signs for Piombino-porto. From the north-east: A1 Motorway Bologna-Florence-Pisa-Livorno; exit at Rosignano, continue on the highway to Venturina. Enter the S.S. 398 and follow the signs for Piombino-porto. Alternatively, the S.G.C. Florence-Pisa-Livorno: exit at Firenze Signa and follow the S.S. up to Collesalvetti, get back on the motorway to Rosignano Marittima, follow the highway to Venturina. From the south: Roma-Civitavecchia motorway, continue on the highway to Grosseto, Venturina exit. Enter the S.S. 398 and follow the signs for Piombino-porto. To reach the port, turn left at the intersection near the entrance to Piombino and follow the signs. By train: Piombino has two stations: Piombino train station and Piombino Marittima train station. The latter is located opposite the port of Piombino. From Piombino Centrale station there is a fast connection to Piombino Marittima (about 3 minutes). Before arriving at the port there are paid parking lots for cars, motorbikes and campers. The parking lots are located behind the port, one of the parking lots is with direct access to the maritime station. Prices start at 5 euros per day in low season up to 10 euros in summer. for information on availability and costs you can contact the following numbers. Tel. 334.3469514 (Luigi) or tel. 347.1363157 for the Alvin Parking, tel. 338.7000811 for the Port Authority. How to reach the port of Olbia The port of Olbia is called "Isola Bianca" and is located in the central area Olbia. The port of Olbia can be reached by car along the SS125 and SS131DCN from the south and from the south east, while from the north west you can expect the SS597. leaving the SS131 dcn it will be necessary to follow the road sign indicating Olbia entering onto the SS199 di Monti. Take the state road and at the branch follow the Olbia sign. Once you have passed the bridges keep left and continue following the port sign. Continue to right and then keep the right to the junction for the ports until you reach the port of Isola Bianca. 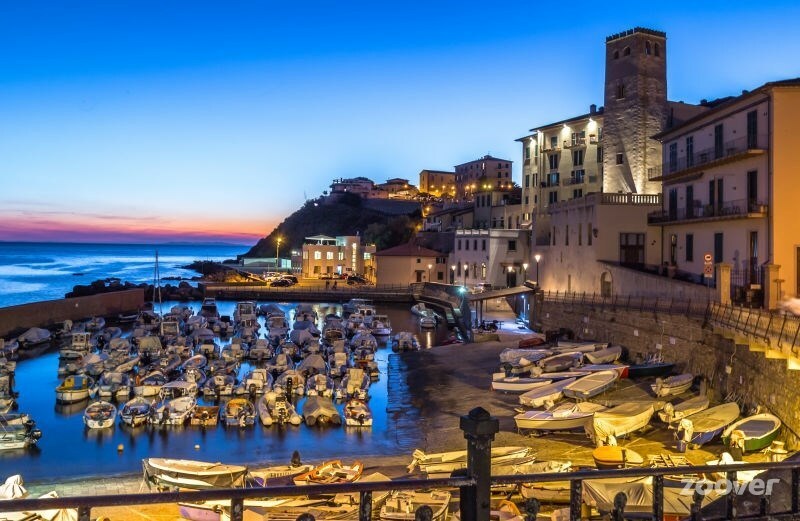 For those who need to reach the port by bus, there are connections made by local companies departing from Orosei, Sassari, Santa Teresa and Siniscola as well as a direct connection from Nuoro. From the station you can reach the port by bus line 9 or by taxi at a cost of 15 euros. The airport is 4 km from the port and can be easily reached by bus line 2 and 10 from Monday to Saturday until 20.00 with departures every 20 minutes. Ferries connect Olbia with the Italian mainland, exactly with the ports of Genoa, Livorno, Piombino and Civitavecchia, near Rome. Other ferry connections are available from Golfo Aranci, about 16 Km north of Olbia.